This morning I went to find results of my full-body scan to see if I’m cancer-free. Long story short, I’m not cancer-free. Things continue to get more interesting. For a long time, no one lead me to believe my case was unique, but slowly it has become clear that it is. I learned last week my first surgeon said my case was the most involved he has ever seen, and my new surgeon at University of Illinois at Chicago mentioned in passing a couple times that they have “round table discussions” about my case. Still, no one had verbally told me my case was abnormal until today. The form of cancer I have is typically one of the most easily targeted in regards to treatment. Most people have surgery, maybe one round of radiation and they’re done. I’ve had two total thyroidectomy and neck-dissection surgeries and radiation in less than a year and there is still remaining tissue. I went in today to learn if my full-body scan came back clean or if I need another round of radiation. 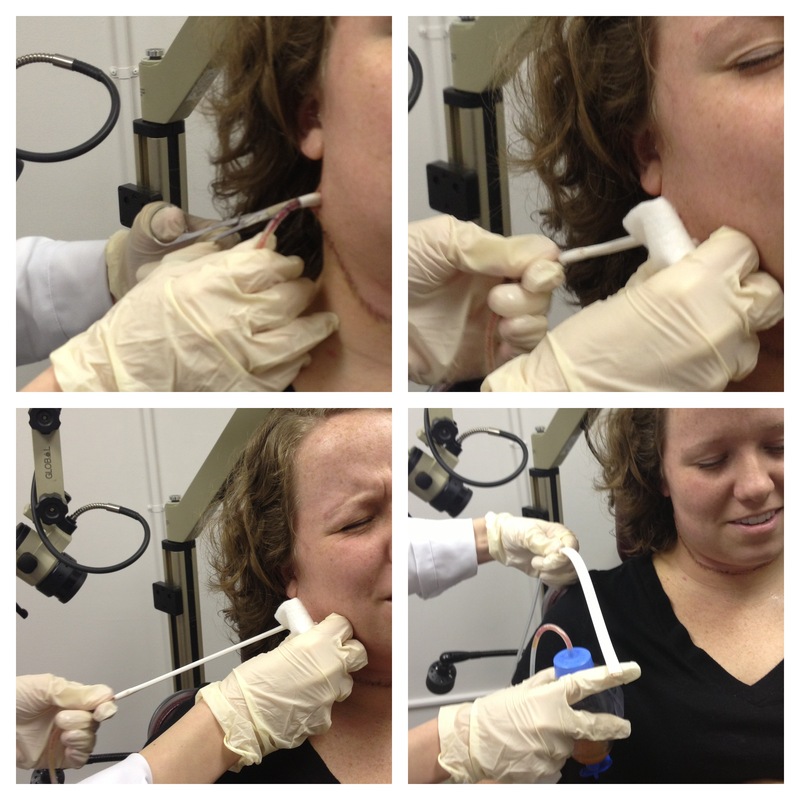 While the full-body scan came back clear, my thyroglobulin level (which is considered a “tumor marker”) was high. Without getting too technical, the full-body scan uses a small dose of radiation (radioactive iodine) to see if anything is left in the body. Since the scan came back clear, but my thyroglobulin level was high, this means whatever is left, is not responding to the radioactive iodine, and thus radiation will likely not work. Some doctors believe if you give a very high dosage of radiation, the cells might end up responding, but it’s a shoot in the dark. Next week I will have a PET CT scan, which uses glucose, instead of radioactive iodine, to identify abnormal cells. We are hoping to identify where the remaining cells are located. However, the catch with this scan is that it only works with decent-sized masses, and will not detect microscopic diseased cells. So, right now radiation is off of the table (small victory) because it won’t likely work, and if the scan comes back clear, and my thyroglobulin levels continue to be high, I will just be waiting it out until the cells become large enough to be detected and most likely removed surgically again. This week I got a new tattoo, and it’s even more fitting now. 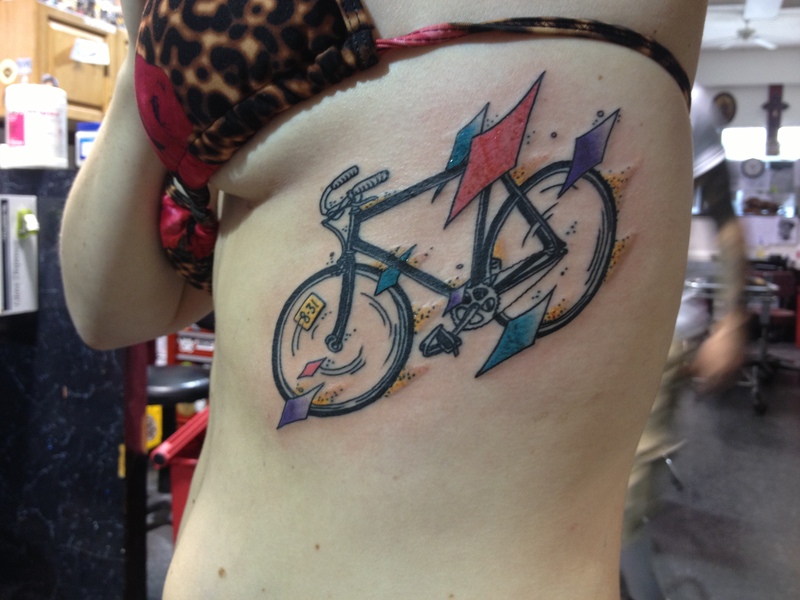 The bike represents my ride last summer from Washington DC to Cincinnati, OH which lead me to diagnosis, as well as the biggest lesson I’ve learned–life is about the journey, not the destination; the date on the card in the spokes was my first surgery (8-31); and the colors are the thyroid cancer colors. I’m continuing this journey and writing the best story I can with my life. I’m blessed to be loved so fiercely by so many of you all. Thank you for stepping along side me and remaining near in spirit. So much has happened and changed since my last post, and I am wondering if I can even put it into words. It has been one of the most memorable months of my life. I’ve challenged myself intellectually, made new friends, hit some of the highest and lowest points in health and relationships, and continue to try and heal from a deeply hurting heart. In everything, I see how beautiful life is when you allow people to journey with you, near and afar. Deanna, Katie and I at the beach. I’m about half way done with Criminal Law, and it has been quite an adjustment. I remember when I was studying for the LSAT, there was a distinct week when I finally noticed a shift in thinking and a new level of understanding of the material. It was so different from my studies in journalism/music/biblical studies. Because I was supposed to start school a year a go, it has now been over 2.5 years since I took the LSAT, and if there are any applicable skills to carry over to law school, they have been lost the hiatus. It’s been humbling to be around such brilliant people and learning from a great professor. While this type of study does not come naturally to me, I do have the confidence that I will fight through and come out on the other side. This last week I feel like I finally started to see a similar shift in thinking, particularly in the way I read news and think about issues. It’s fascinating. I have spent an exuberant amount of time with people in my class, and spent many late nights out on the town and days studying, spending time at the beach, etc. I cannot begin to articulate how much your support has meant to me. Each of you mean the world to me, in very genuine ways. Night at the Navy Pier listening to a live cover band and watching fireworks. I started physical therapy a few weeks a go. Before they can work on my post-op muscular and nerve pain, they have to correct my spine, which apparently is fusing itself together in my neck. This problem has absolutely nothing to do with cancer/surgeries, he said it actually looks like I was hit in the back of the head with a blunt object about 5-6 years a go–Bizarre. In any event, I have at least three months of PT 3x a week to correct this problem. Half way through they will reevaluate and decide if they can add a fourth day in to work on the muscular, nerve pain. The black line is a normal spinal curve, the red line is mine. Two of the vertebra are already fused in the back. Physical therapy has been excruciating, but I don’t know if it’s in a good way yet. Because he’s been focusing on correcting my spine, and not giving attention to my post-op pain, I sometimes feel like some of the exercises I do may be improving my spine, but worsening the post-op healing. I’m in more daily pain now than I have been any other time this year. I’m praying this is just because it must get worse before it gets better, we’ll see. After injections and radiation from last week, I will find out this Wednesday if I am cancer-free or if I need another round of radiation. I really don’t know what to anticipate heading into this appointment. I get nauseous thinking about it. I’m praying it’s clear, largely because I want to focus on becoming well again. This whole process has been a bit frustrating because right when I feel like I’m turning a corner toward good health, I’ve had another surgery/treatment/adjustment to bring it even lower and start the building process over. When I finally felt recovered from the first surgery, it was time for radiation. When I felt as though I was finally getting energy back after radiation, it was time for my second surgery, etc. I’m praying this Wednesday I get the all-clear signal so I can focus on physical therapy and working towards a level of health I once had. In any event, it’s a big week, and I kindly ask for your prayer for strength physically and emotionally. 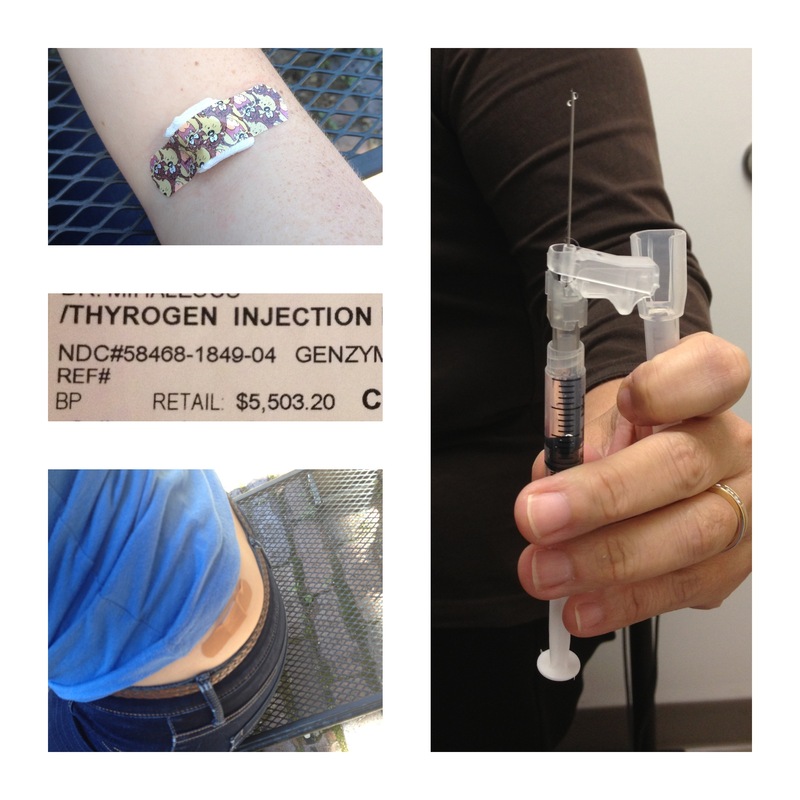 Thyrogen injections before radioactive iodine and full-body scan. 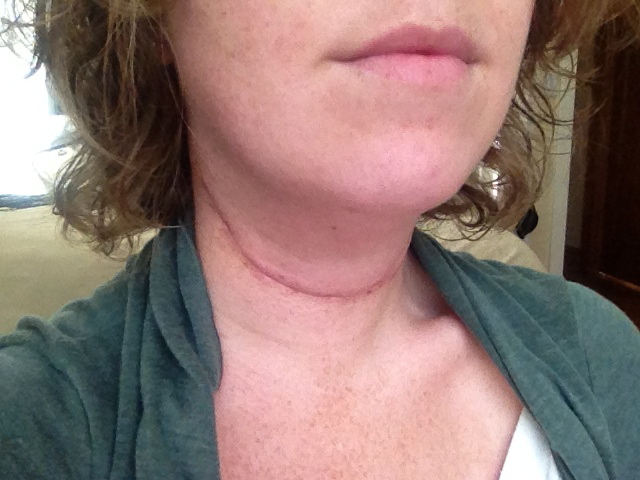 As most of you know, I had my second surgery for thyroid cancer April 26, 2013–almost exactly 8 months after my first. I’m surprised I haven’t written until now, but recovery has been difficult and lengthier this time. I had my first surgery with a different surgeon at a different hospital, so I knew this experience would be different. However, I don’t think I was really anticipating just how much different it would be. My parents flew in from California to be with me during the surgery and to help me afterward. 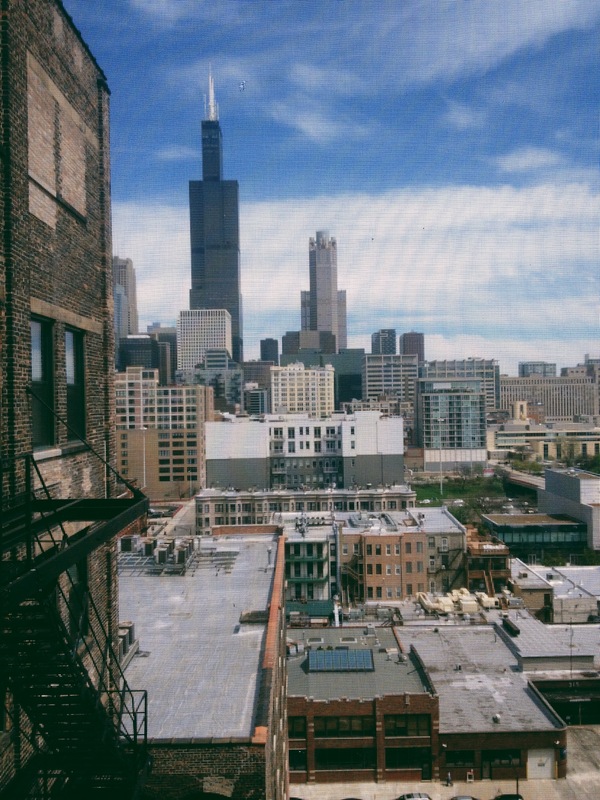 I picked them up from the airport the afternoon before, and we made it to University of Illinois at Chicago (UIC) hospital for my surgery by 5:30 a.m. the next morning. My surgeon showed up a half hour late , so I didn’t get rolled back into the surgery room until after 8 a.m. When I woke up from my first surgery, my surgeon was right there reassuring me, and it was a matter of minutes before I was in a private room and with my family. This time, I woke up and no one was around me. While the nurse visited occasionally over the next hour and a half, I felt very alone. To make matters worse, I had an allergic reaction to something they used in surgery, which created intense itching under my skin from my sternum to my chin. However, since the nurse wasn’t around very often, he didn’t take the time to listen to why I was crying heavily (I hate to admit this). Since my voice was weak and my throat was in pain, I couldn’t raise a voice to alert anyone’s attention. Instead, I sat weeping in my bed, wishing my family was there. Eventually after what seemed like a lifetime, a room became available and I was wheeled to a room and able to see my family. The itching intensified over the next 6 hours, without any relief. Since my skin was so numb and I didn’t want to scratch close to my incision, I was rubbing my chin and neck for relief, but my hands felt like they were touching rubber because of the numbness. There was no relief. It felt as though thousands of ants were crawling under my skin and I couldn’t do anything about it. It was truly miserable. I have very few allergies and interestingly, one of them is Benadryl cream. I have taken Benadryl successfully by pill before, but the nurses didn’t want to risk any further irritation, so they did very minimal dose through my IV and gave me morphine just to try and calm me down. It didn’t get better until my dad convinced them to finally wipe down the surgical prep area. I was only itching where they would have prepped me for surgery, so Dad and I thought my reaction might be from whatever sterilizing prep they used on my skin. Sure enough, after they did this, I felt exponentially better within 30 minutes. Dad said the next day, there was a clear red rash. It was such a rough way to start recovery, especially after being back in a room feeling uncared for and alone for what seemed like an eternity. The room I was in was a double, which bothered me mostly because my family couldn’t stay as long as they could have if I was alone. For the majority of my stay, I had a very noisy roommate, which made it very difficult to sleep, and without anyone allowed in the room from 8 p.m.-11 a.m., it was rough. I was so thankful when they let me go home to recover. 36 stitches and a drain! After my first surgery, they sent me home the second day with heavy bandaging on my neck and nothing else. This time, I went home after three days with no bandaging, and I had a drain in my neck for five days. 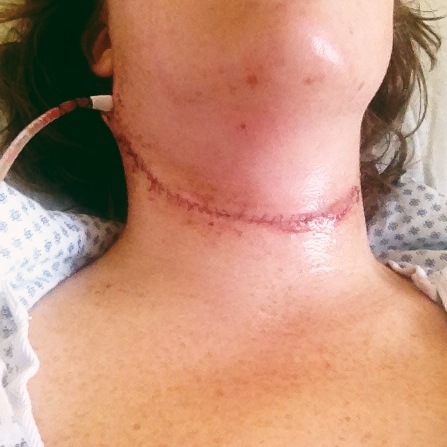 While it was bizarre to have to drain a bottle of liquid from my neck several times a day, it is clear that my incision is healing much better and with a much slimmer line than last time. It was also much more comfortable not having thick bandaging to deal with. 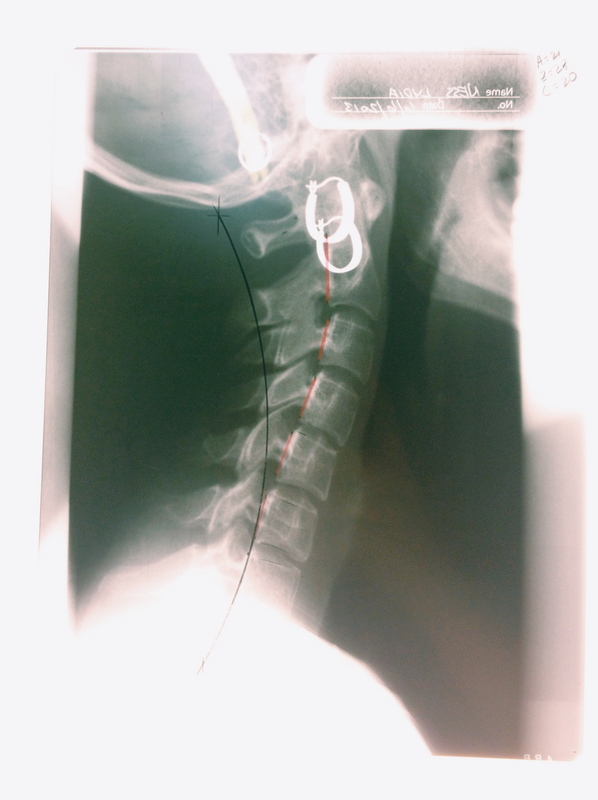 The surgeon removed 47 lymph nodes from my neck. Raise your hand if you knew it was possible to have that many nodes in such a small area? I didn’t. This is after having several removed in my last surgery and he even left one chain of nodes on my left side and cleared everything else out. The first day I really noticed the swelling going down. My pain level this time around is also substantially more, as well as the area left numb. Last time, I was numb under my chin and around my neck and never gained back feeling. This time, I’m numb from down on my right shoulder up to slightly above my chin and my right ear is completely numb (I’m seriously considering getting a new piercing, since I can’t feel it!). At the same time, these areas also have bizarre sensitivity, where clothing and touching certain areas feels like pins and needles. Wearing shirts with a normal crew-neck collar is completely out of the question right now, and extremely uncomfortable. When I came home for recovery, my pain level was high, but no medication was helping. Until yesterday, there was a constant dull pain in my shoulder and sharp pains that changed day-to-day. The dull pain has lessened, but sharp pains remain, especially when I have to take a deep breath–a sharp pain in the back of my neck shoots down my spine. I’ve tried the narcotics they gave me, with no success, and every kind of anti-inflammatory, to see if it stemmed muscularly but who knows. I saw my surgeon this morning, and while he doesn’t know why I’m having the pain I’m having, he’s not concerned. 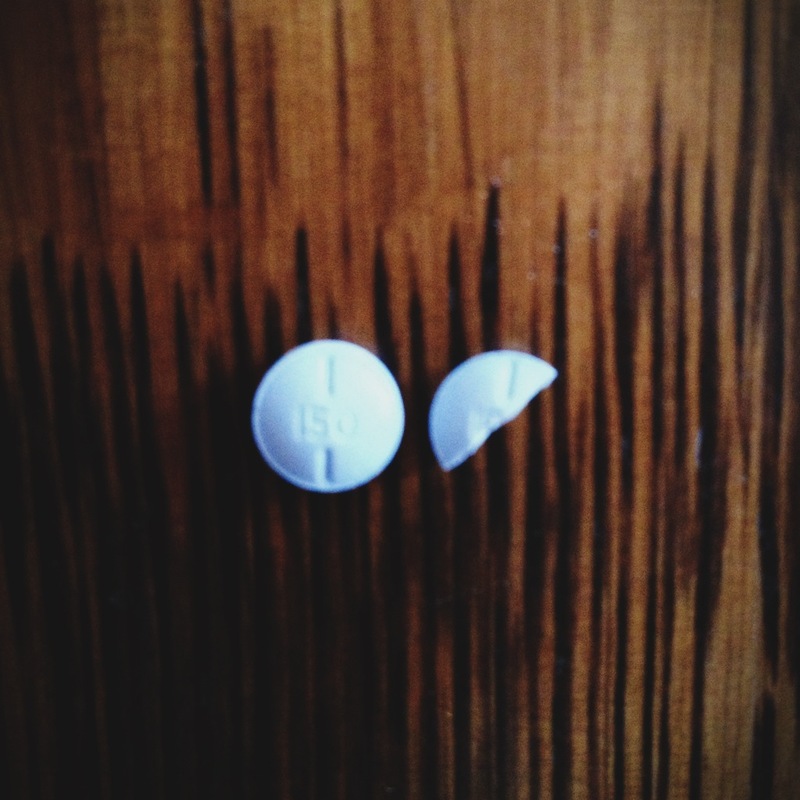 I’ve given up on medication, so I’m just waiting it out. The good news is, I’ve lost 5 pounds. Healing emotionally has been a bigger challenge this time around. After last surgery, I returned to letters/packages/cards from my friends all over the country–I felt so loved. I definitely feel supported this time around as well, but there have been many dark days as well, and days where I feel isolated. I am thankful my parents were able to be here for my surgery and that my dad extended his stay for a week to help me heal. If they weren’t here, the dark days would have been unbearable. One thing I’ve learned over the last 8 months is how much harder this journey is the longer you’re on the road. The longer you’re dealing with the same issues, the less people ask and the more isolated it becomes. I have started to think about all of the people in my life who have been on similar journeys, and I wonder how many of them felt truly uplifted lately. I encourage you to do the same. If you know someone in your life who has been struggling with any kind of issue for a long time, while it may be old news to most people, it’s something they are dealing with every moment of every day. 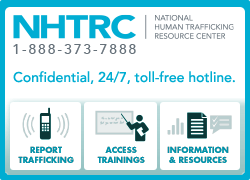 Reach out–Give a hug, send a card, shoot a text, show support, let them know they’re on your mind. It can make all the difference. Lately when I lay in bed at night, all I can think about is how much I can feel God’s presence. For some reason, late at night in the quiet of my room, I feel closest to him. He’s tangible–real. I feel as though the worries on my heart are already in dialogue with the One who loves me more than I could ever comprehend. I often get overwhelmed, sometimes to the point of tears, knowing that He wants to walk this with me. I remind myself Jesus is enough… I don’t need anything else. I’m not sure this has ever resonated so strongly. Since my trip to Italy, life just continues to look up. The new job is great. I feel valued and challenged at the same time–which is the perfect balance. I have been getting up around 5 a.m. most mornings to get my runs in for the 1000 mile challenge and packing a healthy lunch and working vigorously from 8-5 p.m. I love feeling productive again. The most exciting news since my last post is that I have registered to start law school this summer! Instead of waiting until the fall, I have registered to take Criminal Law this summer. I could not be more excited. 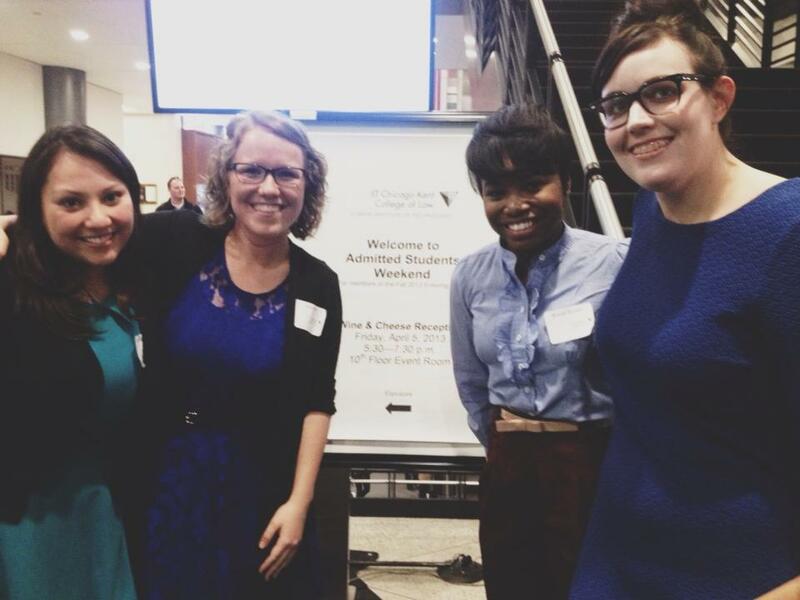 We had an admitted students weekend last week, and I met some awesome ladies from my entering class, as well as a few people who would’ve been my classmates this year, who I have been connected with via Facebook. It was so encouraging to meet them in person and to feel so welcomed and supported. 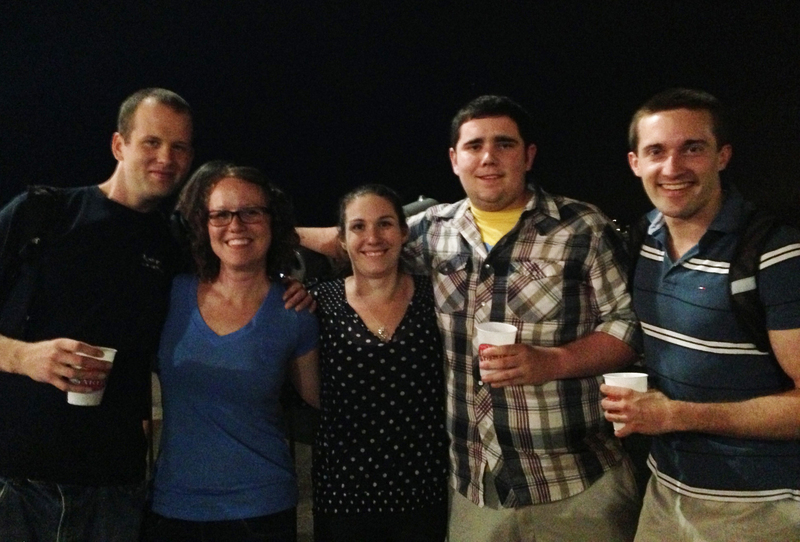 I can’t believe I would already be finishing up my first year–so much has changed since last August. I also received exciting news that I am one of five finalists for a full tuition scholarship. I am so thankful to even be considered in the top five, and it would radically change my life if I am actually blessed with this gift. I am trying not to get my hopes up, but it’s so exciting to think of the possibility. There is still a small chance I won’t be able to do the summer class, but I am doing everything I can to make it happen. The only reason I would pull out is if a complication from my second surgery (April 26) is too great for me to handle on top of school. As I mentioned before, there is a high chance of at least temporary damage to my vocal chords this time around. They are putting a large tube down my throat to hopefully prevent permanent damage, but in doing so, my vocal chords will be stretched and could be damaged up to six months post-surgery. We will have no idea until I wake up that morning. The Assistant Dean of Admissions has been so supportive and understanding–I can wait until the class is supposed to start and make my decision. She said she would easily shift my start to fall if I need to and I wouldn’t lose any money. She was the same person I talked with last August, when I had to defer school, so she has been following my story. Lately I have been noticing a certain redemption in my story that is starting to unravel. There has been a story-arc to the last eight months of my life which I could never have prepared for. Someone told me being diagnosed with cancer soon after moving across the country and then having to defer law school a year is just a “detour in my life,” but I would have to disagree. The longer I walk this road, the more I realize how instrumental this chapter of my life is. Instead of a detour, I believe it has firmly directed me down the road I was already journeying toward. While I still have another surgery and a few more months before I can see if I am cancer-free, the countless blessings and answers to endless prayers I have seen realized in the last month is the hope I have been seeking and waiting patiently for. Thank you, Jesus. There has been quite a development and shift of events since my last post. I was under the impression I wasn’t going to be able to have my needle biopsy done until after Italy. Well, turns out the scheduling person was confused by the two appointments I scheduled with her. She told me I was having another ultrasound this week and my appointment April 2 was my biopsy. I got a call this week with instructions for my “procedure” Thursday. I was confused because they told me not to eat 8 hours before and this shouldn’t matter with an ultrasound. After several transferred phone calls and several confused hospital staff members, I learned I was having my biopsy this week (two days a go) and my appointment April 2 (which they said was also a biopsy) is the follow up. Apparently my endocrinologist wanted to make sure he saw me as soon as possible after my trip to Italy and after he returns (he’s gone for over week after I get back). Even though he is fully booked through April, he scheduled me for my follow up to discuss results of my biopsy, the first slot he could on the day he gets back, which happens to be a slot reserved for biopsies. This is what confused everyone. The hospital schedule has me in a biopsy slot, but only because my doctor was adamant about seeing me then. It certainly brought some comfort to know my new endocrinologist would go out of his way to fit me in as soon as possible when he returns. My first needle biopsy was our first attempt to learn if I have cancer. Most people know I am stubborn when it comes to pain, and I can mentally convince myself something doesn’t hurt. I must admit I take some pride in my ability to not cry in physically painful situations. There have been few times when I haven’t been able to hold back tears. I vividly remember my first needle biopsy. They were only sampling one spot, so they didn’t numb me. However, it was a particularly difficult spot to biopsy, so it took them four times to get useful cells. I was fine the first three sticks, but the fourth time I couldn’t control it anymore, and I started to cry. Still, it was also one of the most tender moments for me, because while my eyes were closed and I silently cried, my surgeon gently dabbed my eyes and cheeks with a tissue. He was very sweet, and while I was in there alone, he made me feel cared for. 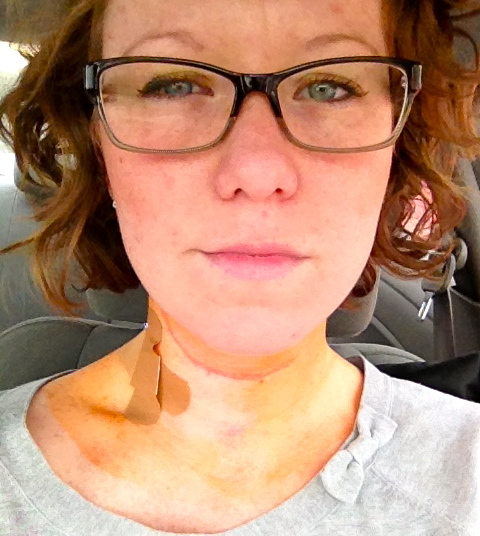 My biopsy last fall dealt with a lymph node that was very easy to feel and see from the outside of my neck. This time, however, I was getting a biopsy because several spots appeared on my scan after radiation treatment. 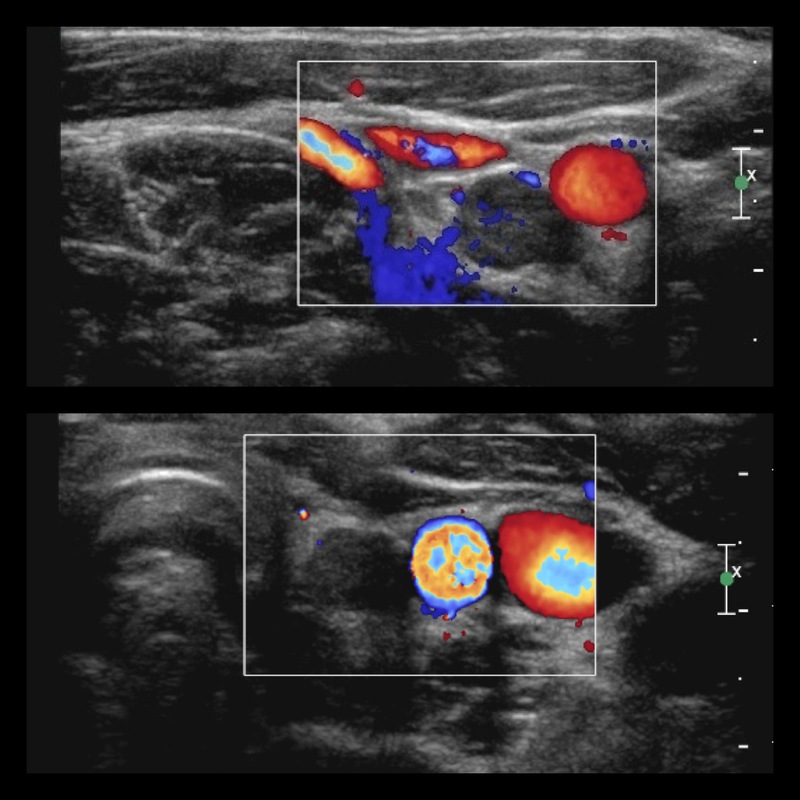 Because they are not obvious to touch, they were using an ultrasound to find where they were going to biopsy and then they went into each spot. I have had a few ultrasounds on my neck by now and most of the time they put a ton of gel and while it feels weird, it doesn’t bother me at all. This time, however, they put very little gel on my neck and they pushed so hard on my neck that it actually hurt… a lot. I was anticipating the biopsies to hurt, but not the ultrasound. Unfortunately, I already started to tear up before any needles touched my skin. Then the doctor came in to prep me for the biopsies. He told me they decided to biopsy four spots on the right (even though there are also spots on the left), and they would numb each spot. Well, unfortunately each time they numbed me, they went in twice with a needle–once deep and once right under the skin–each time injecting a burning, painful solution for about 45 seconds. With four biopsied spots, this meant eight painful numbing injections, not to mention the biopsies themselves. The last spot also required a much larger needle, which finished off the procedure with quite the bang. Each biopsy, they shimmied the needle back and forth on the masses under my skin, shaving off cells to use as samples. Needless to say, as the numbness wore off the next couple hours, some intense soreness and pain lingered from the internal damage done. Two days later, there is still some remaining soreness. However, I did laugh quite a bit when I first saw myself after the procedure. They used an orange sterilizing solution on my neck which had the appearance of a terrible fake tan, and the accumulation of all the numbing made the right side of my face numb and eye droopy. It was quite the sight. I’m very happy this is over, but even more pleased to hear that I should hear my results Tuesday, (March 12), before I go to Italy. I was concerned they would hold out until my appointment April 2 to tell me anything. It would be hard to wait nearly a month to hear results. 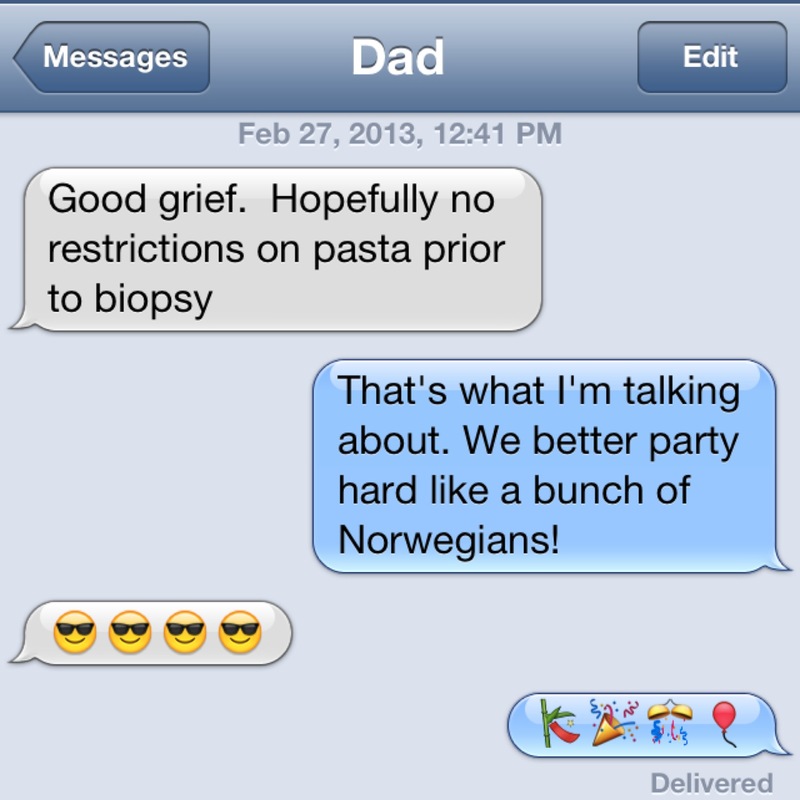 No matter what though, I’ll be headed to Rome on Wednesday with my dad, and I can’t wait. You call me out upon the waters. Your Grace abounds in the deepest waters. Your Sovereign hand will be my guide. 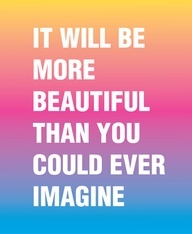 And you won’t stop now. Today I met with my endocrinologist to discuss the results of my first tests done since radiation (neck ultrasound and blood work). The goal was to see if the radiation I was given after my full thyroidectomy and radical neck dissection surgery had taken care of anything remaining. I have high thyroglobulin levels, which is considered a “tumor marker.” If everything was gone, they would expect the level to be less than 0.1–my level is 4.2. There was one mass they were able to measure as 1.3 x 0.7 x 1.1 cm (which is pretty large, especially in the tight muscle grouping in the neck), and several smaller masses. March 7: Another ultrasound to see what kind of change there has been since the last scan (about 3.5 weeks will have gone by). End of April/Beginning of May, surgery? The good news is, we are very close to the right dosage of thyroid medication! We are hardly a fraction away, and because I’m awesome, I don’t even take a dosage that they manufacture now. I take one pill everyday and once a week I take one and a half pills. Because it is a long-acting drug which accumulates over time, I’m able to do this. Science is fascinating, isn’t it?! It seems like such a prolonged timeline. It’s hard to believe because of my endocrinologist’s availability, It’ll be over a month until the biopsy. I’m trusting nothing drastic will happen between now and then–we’ll see. I really shouldn’t be complaining, it is such a privilege to have access to these kinds of tests and facilities. It’s humbling. It is just over a week since the new year, and it has already been an eventful year. January 2 was my 23 birthday and early in the morning my sweet nephew Oliver was born! I am already in love with this little boy and we get to share our special day for the rest of our lives–I feel privileged. 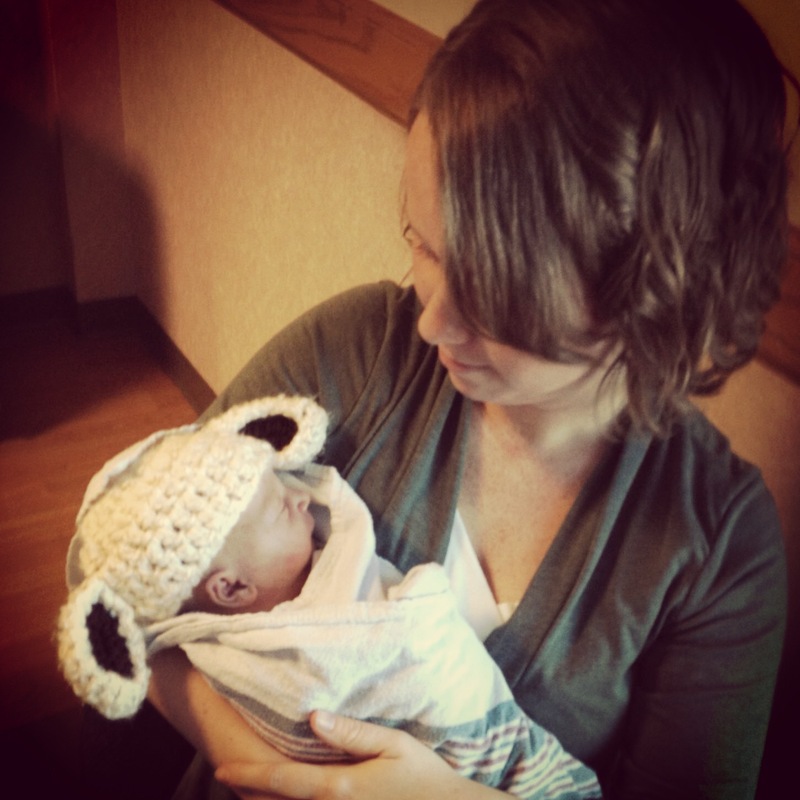 Aunt Lydia and her little lamb, Oliver Daniel. I spent a couple days in Indianapolis visiting my brother, sister-in-law and little Oliver. It was such a special time. I can honestly say, he has been such an inspiration of hope for me the last few months. I have been looking forward to his arrival, and I find some redemption in his birth on my birthday. Thankful for this little miracle. When I returned to Chicago, my friend Matt was in town from California for his brother’s wedding. Matt and I played music in the Blue Devils and RCC indoor percussion for three years together, and it was wonderful seeing a familiar face. 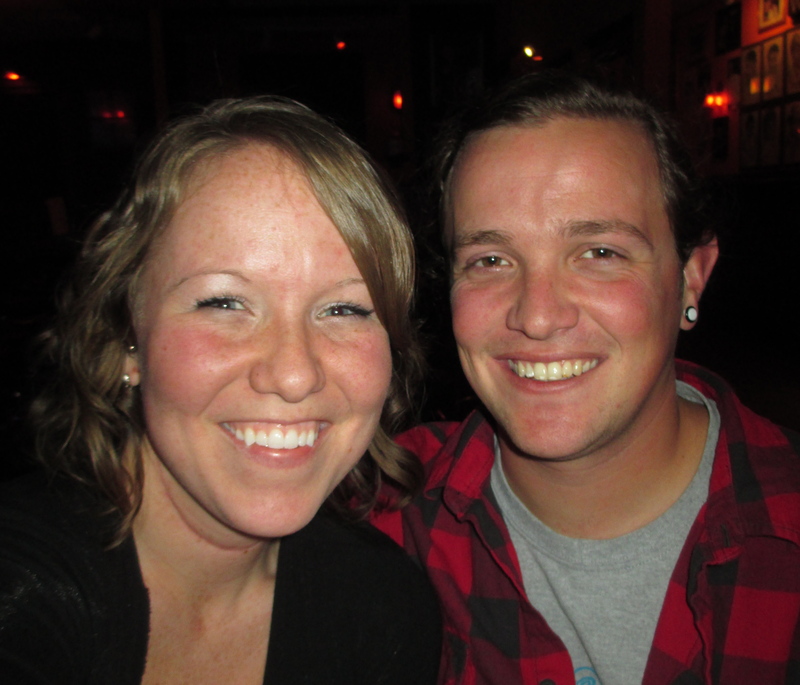 We ended up at a blues club that plays live music seven days a week. It was an awesome find. Some people are wary of new year resolutions and skeptical. I have never made many in the past, but I think the idea is lovely. It is a chance to make a fresh start and try to challenge ourselves and grow. This year I have made a few commitments and with so many questions about my future right now, they have rejuvenated my drive and given me a renewed sense of purpose. First, I will be more available. Bob Goff, in his book Love Does, encourages his readers to be more readily available to others. He specifically refers to answering the phone, and not letting it go to voicemail. I am going to be much better about this, and this will be a huge challenge for me. Second, I am going to learn how to live more sacrificially. With a group of 18+ other people, I am challenging myself to run 1000 miles (about 20 miles/week) and save $1000 throughout 2013. This money will send food to the Thai/Burmese border. With 18 people participating, we will run 18,000 miles and provide 274,000 meals for Burmese Refugees. I hesitated to write about this, because I do not want this to come off as just as another “cool” thing I’m doing and to come across prideful. I share this will you in an attempt to share our deep rooted desire to grasp what it means to respond to biblical justice and respond to God’s heart for the poor and needy. A friend of mine initiated this goal and talked about his goal to live more dangerously, sacrificially and generously in 2013. I am thankful for this challenge and for another year to seek those things that stir God’s heart–how special it is that he allows us to respond and participate in his story of justice. This May, I will run my first mini-marathon, and it will be soon after I have a follow up scan regarding my thyroid cancer (we will see if the first round of radiation did the trick). I can imagine completing this race will be quite an emotional experience, especially depending on those results. I have returned to the weight I was before I was diagnosed last August. I never gained that much, but it was enough for me to notice and enough to struggle emotionally. I had no control over my body, and it was certainly a struggle. It didn’t matter how much I went to the gym, how little I ate or how much I slept (or didn’t sleep), my body responded to the lack of thyroid and medication however it pleased. I have always been able to control and maintain my health and body, and I didn’t realize how much I took that for granted. All of this was taken from me the last few months, and I was not emotionally or mentally prepared for it. I am thankful for the struggle and the time I had to spend reaffirming my identity without the exterior I was used to. I’ve always been confident in who I am, but I didn’t realize how much I depended on my physical strength to present this confidence. Here’s to a new year, improved health and new beginnings. I'm a joyful legal aid attorney in the great city of Chicago passionate about public interest law, music (DCI & WGI), cycling, and traveling.